Larson Boat Group is excited to reveal several updates to its four boat brands—Larson Escape, Larson, Larson FX and Striper—for the 2019 model year. These updates range from new aesthetics to improved onboard amenities to performance enhancements and more. Larson Escape pontoons’ two series—the RT and TTT—feature dozens of interior and exterior aesthetic changes. For 2019, owners have a new color choice of Anthracite in addition to the existing Red, Blue, White or Black options. The exterior graphics have also changed to enhance the profile lines of both series. To amp up the color palette and attract boaters who might be moving from a runabout to a pontoon, the RT-R features vibrant and bright accent color options (Kiwi, Citrus or Impulse Blue). All three Escape series contain flush-mount electronics for a sleeker console, and the RT and TTT benefit from new Mercury FourStroke power. The interior upholstery materials and designs are new for 2019 with enhanced top-stitching, new armrests, buttresses and built-in headrests (TTT only). Larson Boats have received vast changes to their graphic color options, adding an extra punch to match their sportboat-like performance. The LX Series comes with three new graphics packages for 2019: Standard, Sport and LSR; and the LXH Series has a new Sport graphics package. The LX’s LSR Package and LXH’s Sport Package offer bold colors with an edgy design that will turn heads on the water. Larson Boat Group’s two fishing boat brands also have fresh looks and onboard amenities. The Larson FX has new graphics that continue to allow owners to place eight different gel colors in five different locations to create boat that is unique to them. All foredeck storage units come with friction hinges to keep lids open until manually shut, adding onboard convenience for busy fishermen. Striper and Larson FX models will benefit from Mercury’s new FourStroke outboard motor line-up, and Striper now offers an optional ski tow pylon for anglers who want to use their boat for more than just fishing. New and innovative water jet technology as well as a pioneering means of underwater travel based on a World War II design from Britain’s Naval Service will be among the many marine industry advances to capture the imagination of visitors to next month’s Dubai International Boat Show. The popularity of hydroflight sports is growing as fast as the water jet propulsion that powers the high-flying technology, and Dubai International Marine Club will become a showground for the latest developments in the field from 28 February to 4 March. Among the unrivalled international line-up of suppliers and manufacturers appearing at the 25th Dubai International Boat Show is Dubai-based Hydro Water Sports, founded in 2015 by seasoned water sports and diving instructor Captain Karim El-Gendy. “Water jet technology has created a new generation of water sports, and hydro sports activities such as Flyboard, Jetpack, Hoverboard and Jetovator give enthusiasts the ultimate experience in learning to fly,” said El-Gandy. While hydroflight enthusiasts are flying high in the air, underwater submersibles are reaching new depths of the ocean up to 95 metres. The Dubai International Boat Show will provide the perfect regional launch platform for a range of submersibles capable of allowing filmmakers, researchers, offshore and surveying companies and other sub-marine explorers to work at extreme depths. Developed by Dutch manufacturer Ortega, the new three-seater, electric-powered Mk.1C, which can function both above and under water, was inspired by the “Sleeping Beauty”, a submarine that allowed British World War II marines to carry out clandestine reconnaissance as well as attacks against enemy vessels. Using highly advanced modern naval technology, these submersible boats are futuristic, sleek and modern and are powered by specially developed batteries based on Tesla Motors technology, giving them a range of 80 nautical miles or 11 hours of full throttle operation. “The goal of the Dubai International Boat Show is to provide a holistic experience that appeals to a wide variety of visitors, showcasing the latest developments in the marine industry,” said Trixie LohMirmand, Senior Vice President, Events Management, Dubai World Trade Centre. Dubai International Boat Show has long been the region’s premier stage for visitors to interact with the latest in marine sport. In keeping with the show’s mission to open visitors’ eyes to a new range of activities on the water, another attraction expected to wow visitors will be the Seabreacher Z – a dolphin shaped watercraft which allows riders to explore the ocean above and below the waves. Developed over more than ten years of engineering and testing by New Zealander Rob Innes and his American partner Dan Piazza, founders of the Innespace, the Seabreacher series of hand-built watercrafts are designed to push the limits of what people can do in the water. Each Seabreacher is a unique creation allowing customers to pick from an array of individualised options. The Dubai International Boat Show will see the launch of the dolphin shaped Seabreacher Z which features a fully retractable snorkel, allowing the pilot and a passenger to experience the thrill of high speed 360 degree barrel rolls, and jump 90° out of the water. In addition to their submersibles, Seabreacher will also showcase their extensive line of watersport toys with displays of their daredevil machines the flyboard, Jetovator, Freedom flyer and the Shred Sled. An entirely new class of boat is set to impress visitors of the show, offering customers an exclusive mode of transport on the water. Kormaran, an Austria-based manufacturer founded by husband and wife Oliver and Jutta Kormann, will display their K7 First Edition for the first time in the region, and is backed by more than US$10mn of research and development. The Kormaran K7’s unique design and world-first patented transformation technology allows it to seamlessly transform between catamaran, trimaran and hydrofoil configurations without sacrificing comfort, a first for the small-mid range luxury boat segment. Seabreacher, Ortega, Hydro Water Sports, Kormaran and countless other marine industry exhibitors will share the show stage in Dubai with world’s leading luxury superyacht makers as well as an international assembly of more affordable leisure and fishing boat manufacturers, and key suppliers to the Middle East’s growing collection of marinas. The first time I set foot in the Dubai Maritime City was well over 3 years ago during the Pearls of Arabia project concept ww were involved in – the city was still at construction stage and yet impressive with a promise to be an important hub for Dubai. This week, news from the Maritime City shows that Dubai has a strategic aim of positioning itself as a pivotal hub in the global economy. The question is; can it do the same in the global shipping industry? Menon Business Economics’ new report – The Leading Maritime Capitals of the World – reveals that it’s already well on the way. Dubai has successfully staked its claim to be one of the world’s leading business centres, ranking consistently as a top five global location for trade, logistics, tourism and finance, as well as gaining international recognition as the Middle East’s natural ‘home’ of financial and trading activity. Below you will find nuggets of thoughts from the influencers at DMCA directly – its is an informative read and gives an insight into how the Maritime industry sees itself evolving within the Emirate and in relation to the region. The goal for Dubai is to secure its position as a key global shipping partner and maritime centre of excellence. 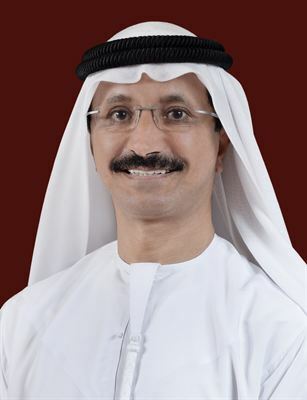 “We will achieve this by providing the best shipping infrastructure and business-friendly environment in the Middle East region, helping shipping companies deliver on their global objectives,” comments Amer Ali, Executive Director of the Dubai Maritime City Authority, the organisation tasked with developing, monitoring and promoting maritime activity in the Emirate. Dubai’s strong commitment has been duly noted by the shipping world. According to the new report from Menon, which polled around 1,600 maritime professionals and experts from 33 countries across all five continents, Dubai will rank in seventh place amongst the leading maritime centres in the world in the next five years. This will, by 2020, put it ahead of long-established global hubs such as London, New York, Tokyo, Copenhagen, and Rio de Janeiro, amongst others. “For our part, DMCA will continue to push for more infrastructure investments, introduce impactful policies and regulations, and hone more local expertise to expedite Dubai’s transformation into one of the world’s leading maritime hubs,” H.E. comments. The in-depth report, which benchmarked centres according to the four main maritime indicators of finance, technology, ports and logistics, and shipping, in addition to an overall assessment of the cities’ competitiveness and attractiveness, revealed some interesting insights into Dubai’s global maritime standing. Respondents ranked the Emirate fifth overall under the ports and logistics indicator, while it was named the fourth largest port operator in the world by headquarters. In addition, industry experts positioned the city tenth in the world in relation to both the size of ship owners’ fleets and size of fleets managed from the city, ahead of cities such as New York, Rotterdam and Oslo. Dubai also ranked among the top 10 global players in terms of leading centres for port and logistics services (sixth); site of world-class specialised logistics services (sixth); and volume of twenty-foot equivalent units (TEU) handled in city ports in 2013 (tenth). “Dubai is committed to creating a connected, smart and fertile business environment, where our natural advantages are supported by first class services, knowledge and facilities. Our long-term maritime strategic plans are tailor-made to facilitate these objectives. The council will help engage industry and continue growth in a sector that has created some 75,000 new job opportunities over the last two years alone. According to the latest official figures, maritime now contributes some 4.6% of Dubai’s total GDP (equivalent to 14.4 billion AED), and, as the Menon report suggests, this is forecast for significant growth. International shipping is an excellent fit for Dubai. An estimated 86% of all Dubai residents are foreign born, and it is not uncommon to find Americans, Europeans, Asians and Middle Easterners working side-by-side. Among global corporations with regional headquarters in Dubai are Apple, Hilton, Mitsubishi, and most recently, Ford Motor Company. Looking at key factors that quantify a city’s global influence, Dubai counts many, including the amount of foreign direct investment, an increasing concentration of corporate headquarters, air connectivity (ease of travel to other global cities), strength of producer services, financial services, technology and media power, and cultural diversity. Its globalisation strategy hinges largely on its expanding airport, ranking first in the world in air connectivity, with nonstop flights at least three times a week to 93% of global cities outside of its home region. Ever since I got the Hard Rock Café worldwide loyalty card, I’ve become a huge fan of their merchandise and its now tradition for me and my babe to get some retail therapy everywhere we visit that has a Hard Rock cafe….the food and drinks are great but the retail is even better. It is at Hard Rock Dubai where I met Salma and Khalid from ‘In Dubai We Trust’….a coincidence as I was there for something else and after a quick chat with them, I made up my mind that I will talk about their cool initiative….In Dubai We Trust. As anyone will tell you, I am the biggest fan of the UAE and all the Emirates…. I constantly end up telling people who try to say anything bad about the country that they are welcome to go back home if they have issues with the UAE as there are plenty other people who appreciate the place and love to live and work here. Although UAE and Dubai has nothing to prove to anyone as the place speaks for itself, it still is great for people who live here to talk about the best things that Dubai has to offer and show the many positive sides that people don’t usually pick up on because they are so involved in their own little worlds, they would rather stay on their sofas and complain instead of actually venturing out and enjoying the many amazing things one can do here. The group since their inception has organised many events that show the different facets of the Emirates….they were also part of the Burj Khalifa opening, have organised events for mother’s day, brought women from different nationalities together in a spa environment and now they will also be part of the Walk of Beauty 2012 event. This is part of the amazingly popular exhibition Beautyworld Middle East 2012 starting on the 29th of May. UAE and Dubai has become a second home to many….its about time we celebrated the many great opportunities the country has given us and make people aware of the many things they can do here that they would not be able to do elsewhere. Most days when I venture into Fauchon, its usually to satisfy my sweet cravings – they have the best desserts – ones that just melt in your mouth. This time however it was for the pre-celebration of International Women’s Day (which is on March 8th) at Mall of the Emirates (MOE). MOE has launched a ten-day campaign “It’s a Women’s World this March at MOE” from March 1st -10th to honour women in the UAE and throughout the Middle East and us girls hung out at Fauchon to kick start the celebrations well head of time. Since my birthday is on the 2nd, I’ve already started celebrating March with full vigour. Embracing the official International Women’s Day theme,“Connecting Girls, Inspiring Futures,” MOE has decided to honour five diverse women in Dubai who, through their own inspiring stories and commitment to charitable work, reflect the strong, independent and admirable qualities underlying the campaign. From 1st to 10th March, MOE offers a Style Guide featuring on-trend fashion tips for the season and retail offers has been specially created for shoppers. The Guide lists offers across a number of the mall’s stores with offers ranging from Kurt Geiger, Harvey Nichols, DVF, See by Chloe, Sephora, Pullman and Kempinski Hotels, and Armani Café, just to name a few….delightful. The women chosen to represent the campaign for their admirable qualities, achievements, challenges overcome and their tremendous dedication to charitable works are: Ayesha Kelaif in support of the Dubai Animal Rescue Centre (DARC), treating and fostering abandoned animals in the UAE; Lama Bazzari in support of NStyle Internationals’ Give N Style, empowering women through education; Ebtisam Abdulaziz in support of START, using art to heal and educate poor children in the Middle East; Saher Shaikh in support of Adopt-a-Camp, providing supplies and assistance to laborers; and Katrina Thornely in support of Emirates Arthritis Foundation, generating awareness and providing financial assistance to arthritis patients. Diva likes and supports people who do CSR and community work….hence the special blog for women who I admire for the said causes. International Women’s Day is celebrated throughout the world to inspire women and to celebrate their remarkable achievements. Mall of the Emirates is certainly celebrating the diversity of women throughout Dubai with all their awesome promotions…..some serious retail therapy is in order girls!